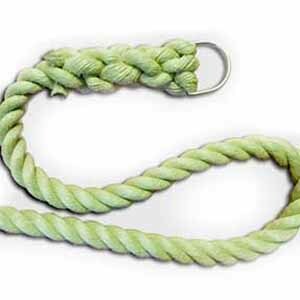 Our sled pulling ropes/ Prowler ropes are made from natural or synthetic hemp. We make standard prowler/sled pulling ropes in 15m lengths with a stainless steel D ring spliced in at one end and a gluelined heatshrink finish at the other to prevent fraying. 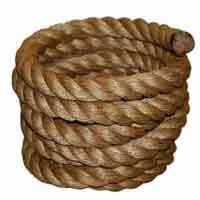 We can also make these ropes in our larger sizes of manila rope. We are frequently being asked to make these ropes for prowlers to provide our customers with the training equipment to suit their individual requirements. 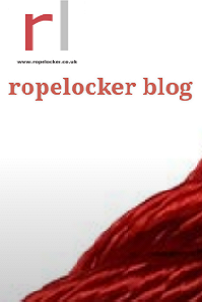 We can make ropes to your own specification including spliced ends with or without rings or clips. Plus straps, handles and chafe protection to suit your equipment and individual workout. Custom sizes/bespoke designs can be made by request. Contact us for prices.